In 2015, New Hampshire embarked on an ambitious experiment to reduce tax rates on employers to boost the state’s economy and add jobs. Proponents argued that reducing the Granite State’s uncompetitively high business taxes would cause companies to grow here, increase employment and ultimately boost state revenues. Opponents suggested lowering taxes would “blow a $90 million hole in future budgets” and undermine state services. Three years after the tax relief began on Jan. 1, 2016, the results are in. 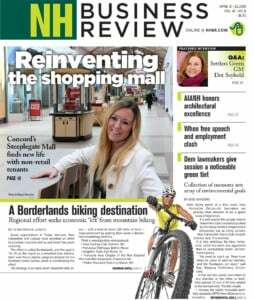 The numbers show an unqualified success story that has helped to fuel an economic boom that makes New Hampshire’s economy the envy of the Northeast. Since tax relief started, New Hampshire has added 32,700 jobs — a number roughly the size of the city of Dover, according to the federal Bureau of Labor Statistics. This growth has led to New Hampshire having the fastest growing economy in the Northeast, per the federal Bureau of Economic Analysis. Today, the Granite State has moved up to sixth highest nationally for labor force participation and has the state’s lowest unemployment rate in over 30 years. Moreover, the state has reversed the trend of watching younger workers leave the state, with more young people now coming to New Hampshire to find the career of their dreams. It’s not just workers who are benefiting. As New Hampshire has become more competitive, our revenue picture has never been better. In the last fiscal year, business tax revenue shattered records, coming in 22.4 percent higher than the prior year and 17.3 percent above projections — $114.3 million more than the state expected. In the first five months of this fiscal year, business tax revenues are doing even better, coming in 37.6 percent higher than expected. Instead of creating a hole in the state budget, as doomsayers predicted in 2015, tax relief has led to an overflowing revenue stream. This is just the beginning. While then-Gov. Maggie Hassan signed the first two rounds of tax relief into law in 2015, Gov. Chris Sununu approved two additional rounds in the 2017 budget that have not yet taken effect. While the tax relief signed by Governor Hassan focused on reducing the business profits tax, paid mostly by large corporations, the budget signed by Governor Sununu puts the emphasis on reducing the business enterprise tax, which is essentially a payroll tax paid by small businesses. This means that smaller companies can expect to see considerable relief in coming years. Starting Jan. 1, small businesses saw a reduction in their BET rates of more than 11 percent. That means more money in the pockets of small employers, giving those entrepreneurs the opportunity to reinvest the savings in growing their businesses and adding jobs. If that good news isn’t enough, starting on Jan. 1, 2021, New Hampshire small businesses are scheduled to benefit from an additional 17 percent tax cut. This will particularly provide an enormous lift to startups, companies just getting off the ground, who find the BET a struggle to pay while a business is not yet profitable. Granite Staters and helped them achieve new opportunities for success. The governor and legislature should continue on this path in the next state budget. Greg Moore is New Hampshire state director of Americans for Prosperity. Bruce Berke is New Hampshire state director of the National Federation of Independent Business.